Heat it up in the microwave for 60-70 seconds. It will bubble so keep a good eye on it. If it starts to bubble over the cup stop it and wait for it to go down then finish heating it up. 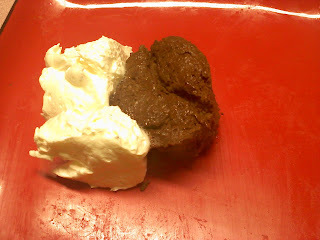 I add a hefty scoop of Cool Whip FREE for icing.